The Ahmedabad Mercantile Co-op. 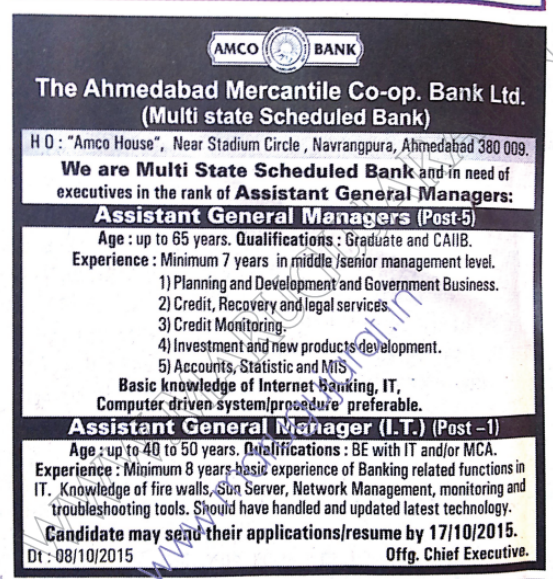 Bank Ltd. (Amco Bank) has published a Advertisement for below mentioned Posts 2015. Check below for more details. BE with IT and / or MCA.